The Law Office of Lisa A. Vance, P.C. Ms. Martinez is a member and past President of the San Antonio Family Lawyers Association. 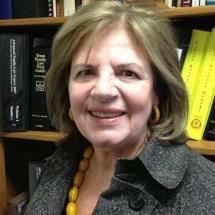 She is also a member of the State Bar of Texas and the Texas Academy of Family Law Specialists. As a lawyer whose entire practice is dedicated to family law, she has won custody cases for numerous fathers as well as mothers, and has also successfully won custody for a number of grandparents and other relatives. In addition to litigation, she often uses mediation to bring cases to settlement, and believes cases should be settled without going to trial if it can be done to the satisfaction of her clients. She wants clients to know that she brings life experience as well as legal experience to her cases. She has raised three children and is a proud grandparent, including being a grandmother for a special needs child. Lisa A. Vance Awards and Recognition. Call Today At 210-265-6277 Or Email To Schedule A Confidential Consultation. Spanish translation services are available upon request. We have a lot of information on our website. Please use the search bar like a library. Put in your main topic and find articles to help with your issue.